Bluestone National Park Resort has something to offer for everyone. Whether you're seeking a fun filled family holiday, a romantic getaway for two or an action packed break with friends, it's the perfect location to create magical and unforgettable memories. Not only is the accommodation luxurious but there are activities to enjoy whatever the weather for those after some rest and relaxation or adventure. 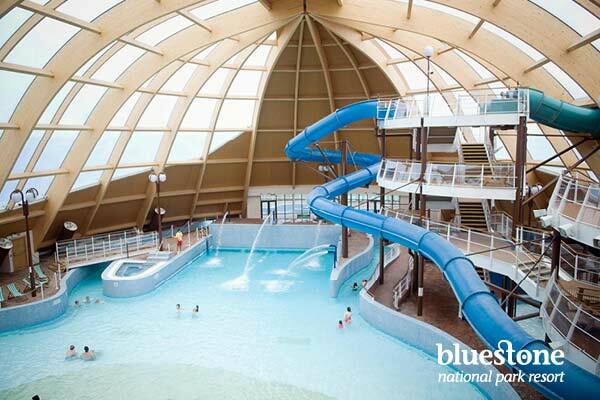 The spectacular 500 acres of stunning Pembrokeshire countryside where Bluestone is situated has a variety of great restaurants, including the newly opened Oak Tree, an exclusive spa and also the incredible Blue Lagoon Water Park and Adventure Centre to enjoy. Bluestone have kindly provided 5 Monday-Friday breaks to give away so you could have the amazing opportunity of visiting for yourselves (we are hoping to later this year also). They will provide a lodge to sleep up to 4 people for the week commencing 30th November 2015 to provide a nice pre-Christmas escape. 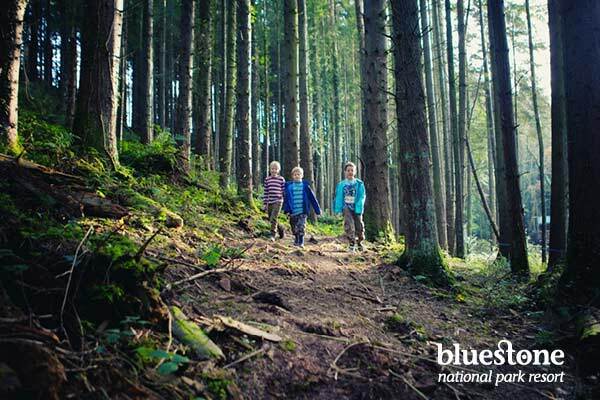 For your chance to win 1 of 5 midweek breaks to Bluestone National Park Resort you can enter via the Gleam entry form below. 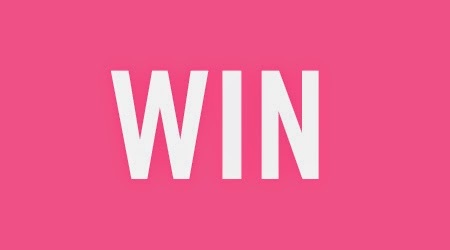 The giveaway ends at 11.59pm GMT on 29th August 2015. I would love to go there to spend some quality time with my family. We've never had a family holiday, and this looks just perfect! We have been before and really enjoyed it,I'd definitely like to again. oh this would be lovely. 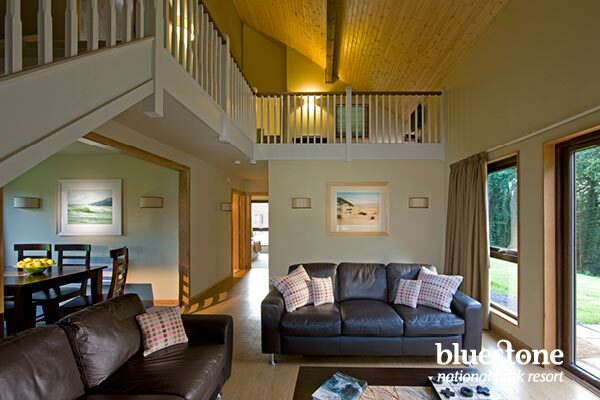 the lodge looks so homely, would love to holiday in a national park. away from all the hussle and bussle. some quality family time. My daughter keeps nagging me to take her to a water park : think this would fit the bill ! I love Bluestone. We've been before but would love to return for some more countryside walks and time in the swimming pool! After a tough pregnancy it would be lovely for our little family to have time together to bond now our baby girl is here. Plus I know our son would have a whale of a time. quality time with my family after a mega tough year! After visiting earlier this year I would love to return and take along my sister and her family and have a big family holiday! We had a great time in Bluestone a few years ago, it is a fab place for the kids and even though it rained all weekend there was so much to do we still had fun. My kids enjoyed wizzng around in the golf cart and scooting up and down the hills. We really got to spend quality time together. There's lots to do for all the family. Would love a breakaway too have time spent relaxing enjoying ourselves. We would love to win a holiday to Bluestone as we are saving for our wedding and all money for holidays has been saved for the big day! It is always great to get away, and there are some awesome walks around Bluestone which we would love to do! I would love to win so my hubby and I can have a break away together, no spare pennies with me not able to work due to ill health, so this would be amazing! It looks amazing and I think my Daughter would have an awesome time! My daughter and I would love to try out those water Flumes! 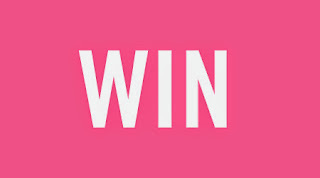 I would love to win because it looks amazing!! It looks so beautiful and perfect for a relaxing break! It is not too far from home. I have visited on two previous occasions and whether the weather is good or bad it is a pleasant experience. The spa facilities are amazing. You come away feeling totally relaxed. with a toddler holidays are always difficult as it's hard to keep them entertained. Bluestones look like they have loads for the kids to do so looks like a great option. A complete technology switch off is what I need right now... been a long year! I've never been to Wales and the place looks so amazing, I feel like a little kid again. 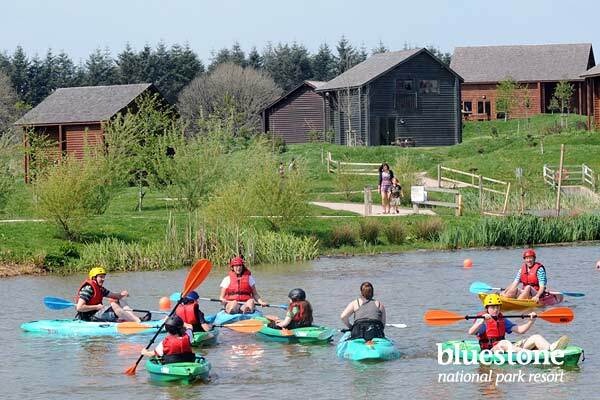 I've had a few friends visit Bluestone over the last couple of years and they've loved it - a great combination of relaxation and entertainment. I'd love us to experience that for ourselves! I choose to be a full time mummy, rather than work and put my baby girl in nursery. This means holidays are very few and far between, it's simply a luxury we can't afford. It is awesome. I have seen this in so many people's blogs. I would definitely enjoy a lot here. Let me have this. I have heard so many nice things said about Bluestone I would just love to go and experience it for myself. we had a choice this year, save for a deposit for a house or get the kids away on holiday, we decided having our own home is more important, as the kids nan is taking them away to her caravan for a week instead, but would love to have our own family holiday still, this would be a great prize for us! I would love to win this so myself & my family can enjoy the gem of bluestone while we can still holiday as a family. 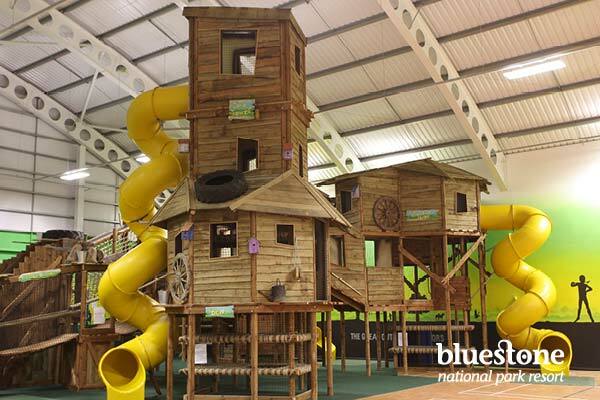 We have never been to bluestone but would love to try it for our selfs. My eldest son will be 16 on the dates of the holiday so this would be a lovely treat for us all as this May be the last holiday he comes on (hopefully not). Bluestone looks amazing and has everything to suit all families especially mine with the big age gaps between the kids, no one is bored or left out. There is so much to do and enable us to spend quality time as a family building lasting memories. A break at Bluestone would be a new beginning for us both as we have not had a holiday for the last 2 years due to various emergency treatments; I had to cancel last years holiday and lost money. The lodges look great. The feedback from friends and family is amazing. I have never been before, it looks a great play to stay, especially with little ones. A chance to have a fun, exciting & active holiday in one of the most beautiful locations the UK has to offer - Yes Please! We live in Wales but due to disabilities can not travel long distances very easily. West Wales is a beautiful part of the world we would enjoy the tranquillity of the countryside there. Bluestone is amazing for kids! I would love to win a fantastic break like this so that my son can have some freedom in a safe environment and we can spend time as a family! I'd love to win so that me, my husband and our little boy could spend some quality time together. I'd like to win so that I could spend some quality time with my family in a beautiful environment. We would love to win this because we need a well deserved fun break. We've all been working very hard at work and school so the little ones deserve a well needed rest! I'd love to spend some time with my kids before the oldest starts school full time. These early years are so precious and go far too fast! I would love to win because a bit of peace and quiet, quality time with my hubby and a change of scenery are a few of my favourite things. Because I would love to have some quality time with my family and forget about our every day worries. My daughter went to Bluestone once and told me it was lovely, so I have always fancied going there. Since hearing about Bluestone I have always wanted to go. I would love to take my boys, it would be amazing. Would love to have a break with the family, what a lovely pre-Christmas treat this would be! We would love to win a staycation because we love Bluestone! Some friends stayed there a few weeks ago and told us what a great time they had, we would love to go there. Because the place looks amazing and i'm sure my little family would love it! Always wanted to visit Wales, never actually been! The Water park looks decent too! It is a lovely place to visit, it's not too far to travel with 2 little kids and they have tons of activities for the little monsters. Would like to get away with the family. Because I know my 2 year old would love the activities and the setting! He's game for anything and so relaxed on hols. it would be a great anniversary! I would love to take my nephews there. It's been a stressful year for us and we could really do with a break! Id love to win a holiday for my husband and toddler to enjoy some family time together. Bluestone looks fabulous and isnt too far away from us in Wales either. I would love to win because I don't think the kids would ever get bored here! It would be so fabulous to go there to spend my sons 3rd birthday (30th nov) there and celebrate as a family!! We have never been but I have a feeling if we win, we will be back again and again!!! Only heard good things!! I'd like to win because every year we go to center Parcs and I have often thought I'd like to try Bluestone. Would be a great way to treat my kids to a fab holiday before the eldest starts school this year. Thank you so much for your lovely post! I had never heard of Bluestone National Park and now I feel like I’ve discovered a hidden treasure! Without a doubt, the most perfect place to whisk my girls off for a luxury getaway.... So many activities and experiences to make those memories of a lifetime  I can picture them splashing away and whizzing down the curly wurly slides in the Water Park… jumping in muddy puddles…. Toasting marshmallows over the fire… Adventures to be had outdoors…. And Spa retreat for me…. (NEEDED!!) Just. Magical. I would love to take my family away its been a long year. Bluestone sounds amazing!! I would love to spend some time with my boyfriend - we are the biggest kids going. It has been a busy year and this would be the perfect break from everyday life! I would love to go to Bluestone, we were about to book a holiday there last year and then the company my husband was working for liquidated, so we couldn't go. Fantastic prize! Bluestone looks stunning! I do love that part of Wales. I would go there with my boyfriend if I won as we haven't had any time off work yet this year - Bluestone looks like the perfect place to unwind and recharge. My adventurous boys would love it! I would bring my two daughters and my grandchildren. The family needs a holiday where no-one is suffering from food poisoning! This could definitely fit the bill! Its been a few years since we have been able to have a holiday together as a family and this would be perfect to spend some time together. It sounds like a dream haven!! My sister in law did a review and said it was amazing so i would love to be able to take my nephew, my parents and my fiance. This looks like an amazing holiday for all the family, plenty to keep everyone entertained! To have a break with the family after a stressful year. I would like to take my grandson. Would love to come and have some family fun at Bluestone. It would be our first family break together with the addition of our baby son Charlie! It'd be great to get out to Bluestone with my friends for a relax in the middle of the Christmas carnage! It looks a lovely place to stay and not too far from me. At the age of 52 I am about to take my driving test- I owe my teenage children a holiday at last and this would be perfect to drive them to !!!! It looks like so much fun and my boys would love it! It is a holiday the whole family could enjoy. Is Bluestone dog friendly? It is beautifully laid out, superbly well maintained, the staff are lovely and it is surrounded by the most gorgeous countryside. Bluestone looks amazing. I'm so envious of all the people who go here. It's perfect for us as we're a larger family. i would love to win as we haven't had a family holiday so far this year. Between a car crash, an operation and family illnesses we haven't had time to plan one! I would love to win so my oh and I can treat our nieces to a lovely holiday! This would be a perfect break! Been ridiculously busy at work so this would give us a great opportunity for time together to relax. It looks like a break where you can get really close to nature which would be wonderful!